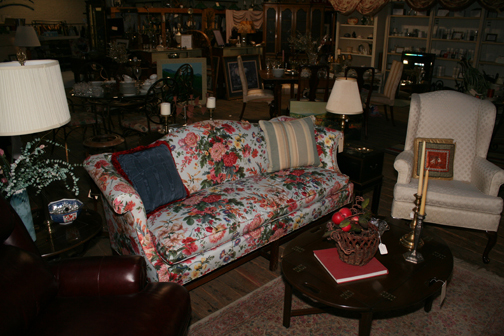 Estate and Consignments is always looking for a good home for one of their many treasures. Let’s face it, we are all going to die and when we do, what happens to all our stuff. When the children leave the nest and it is time to downsize we also have that same problem, what are we going to do with all the stuff that won’t fit into the new place. 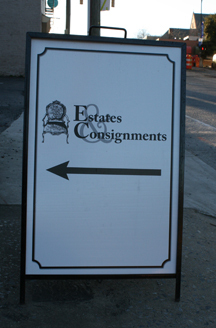 Estate and Consignments is one of two companies in downtown Lynchburg that purchases these estates and then they try to find kind loving homes for these items. 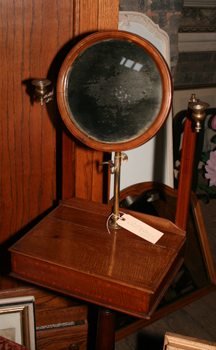 An antique oak shaving stand. You need to frequent Estate and Consignments regularly since they bring in one or two estates each week so you will never know what you will find there from week to week. Prices are much lower that you would find if buying the stuff new and part of the fun is finding that treasure that you can’t live without. If you are looking for a junk shop this isn’t the place. 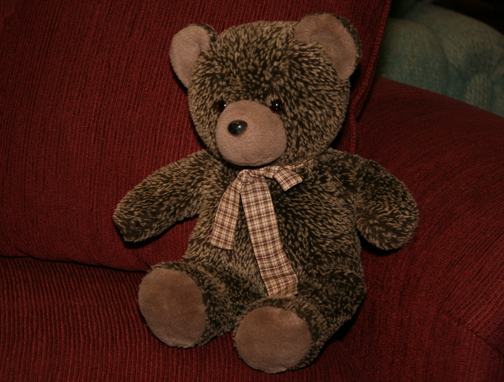 Most items are in really great shape or gently worn. From time to time you will find antiques. There is usually a dozen sets of china and dining room suites as well as bedroom suites. 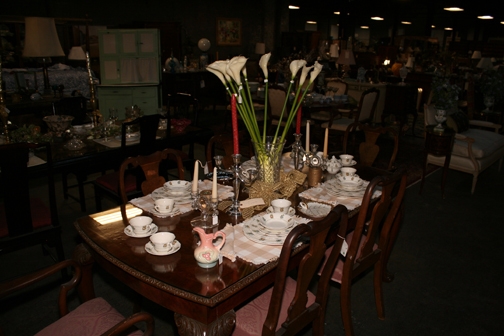 A number of our guests have visited Estate and Consignments and have walked away with some great pieces. If you happen to be visiting Lynchburg and are staying with us (The Carriage House Inn Bed and Breakfast), we have been known to store some large pieces until transportation can be arranged. 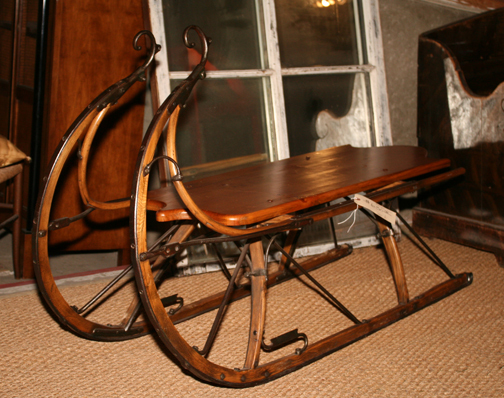 We happened to be there after the first of the year and fell in love with this antique sleigh (below), but unfortunately we don’t have a place to display it….Do you? 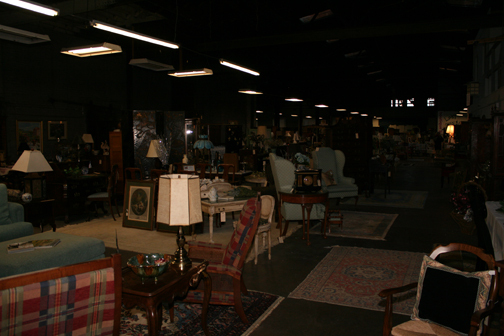 Estate and Consignments is located in a huge warehouse located at 139 12th Street in downtown Lynchburg between Main Street and Commerce Street. Their phone number is: (434) 528-3667. They are open seven days a week! Below is a photo of their warehouse (interior) and a couple of other pieces that caught my eye. You need to see all this stuff! We will be featuring a different downtown merchant on our blog every 6-8 weeks so keep reading as we have some fantastic shops with more and more opening all the time. It is very exciting to be in Lynchburg as the downtown area is becoming a destination, much as it was from the 1800’s through the 1960’s.